NEW YORK (WABC) -- It's no secret that Republican Presidential Candidate Donald Trump and Rosie O'Donnell have had a less than pleasant relationship. In fact, Trump said in his first presidential debate against Sec. Hillary Clinton that of the disparaging remarks he's made against women, most were directed at Rosie. Wednesday night however, there was an olive branch extended by Trump's daughter, Ivanka. Rosie confirmed to Eyewitness News Anchor Bill Ritter that the two bumped into each other at the restaurant Nobu at around 9 p.m. 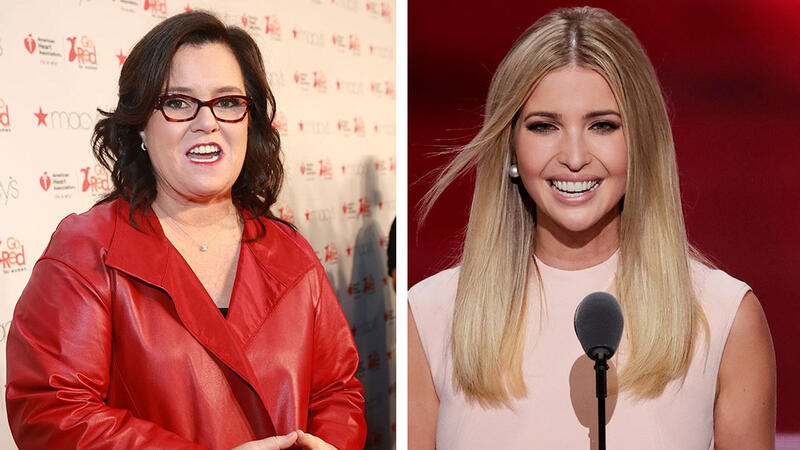 So far, there is no comment from Donald Trump on the conversation his daughter had with Rosie.